One of my biggest issues on gaming on multiple platforms would be that most require a separate set of headphone for each, as most are not compatible for different consoles. 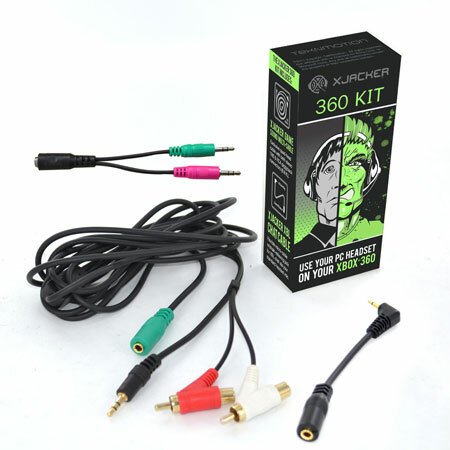 Compuexpert and XJacker may have come up with a solution to the dilemma and that would be to make a kit that allows you to use your PC gaming cans on your consoles with the 360 Kit and the PS3 Kit. 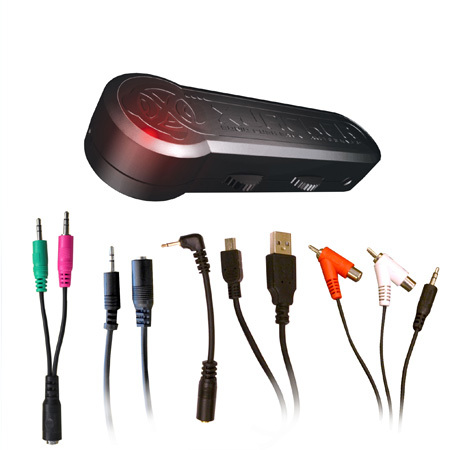 Along with the kits, we were sent the Soniq Rush Gaming Amplifier Kit, version 2.0, which enables gamers to take any standard PC headset and use it as an amplified headset. Version 2.0 contains updated and enhanced circuitry from the previous kit. Lets get to the point where we see how these kits compare. 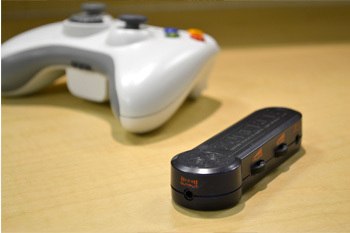 I will start with the Soniq Rush 2.0, the kit that promises to turn any standard PC headset into an amplified headset that will work on the 360 or PS3, depending on what your flavor is. I will give it to this little unit; it does pack quite a punch and turns a good headset into a loud as hell pair of headphones, which have volume and bass controls, at a price that less than I would have expected. The good is that they work as advertised, and helps to allow for late night gaming sessions that will not wake family of roommates. Unfortunately, with this unit there were two issues in which I notice in my time spent with the Soniq Rush’s, the first would be that there was a low hissing noise when there is no volume, mostly during loading screens or in the 360 or PS3 menu and the other issue in which I came across was that when I would touch it to change the volume or bass level, the console sound would lower and I would get a local radio station being broadcast through my headphones. Like I said though, the price of 30 dollars isn’t too much if you already have a good set of headphones for your PC and looking to use them on your console without having to purchase another set. The other, less fancy but equally impressive unit would be the 360 or PS3 Kit. This kit does not include the amplifier so it requires less wire and comes to you at a fraction of the price at 15 dollars. With these you will have to use a headset with inline volume control since it does not have the volume control that is included with the Soniq Rush. You will sacrifice volume with this unit but you will also not get the hissing noise and radio broadcast upon touch with the amplifier. I must admit a 15 dollar kit to use your headphones with multiple gaming devices is the biggest reason to make this purchase, but unless you have some quality PC headphones, I would suggest the Soniq Rush 2.0 as they will provide the additional volume to immerse you into the gaming experience.